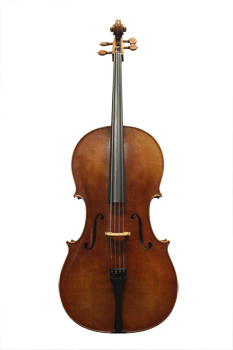 This cello is a step above the Frank Denti in materials, construction and tone. Varnish is similar to the Denti. Adjustment includes ebony fingerboard, decorative pegs, high quality endpin, composite tailpiece with built-in fine tuners, and D'Addario Helicore strings.